The High Commission of India in Bangladesh has been taking various initiatives to make the visa application process simpler and applicant friendly. Towards this objective, the Indian Visa Application Centres (IVACs), managed by the State Bank of India on behalf of the High Commission of India, is initiating a ‘Cashless’ visa application system from 4th October, 2017. 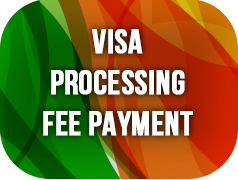 This means an applicant will be able to pay the visa application processing fee using online modes of payment. Applicants will need to fill in the application form and make payment online before visiting an IVAC for submission of application. Please note that the online payment facility is open only to Bangladesh Passport holders. The existing mode of payment of visa application processing fee through mobile wallets also will continue until further notice. Once this procedure is completed, you are requested to visit any of the IVACS with your Application form, passport and requisite documents to physically submit your application. 3. The initiative of ‘Cashless’ IVACS will significantly reduce the waiting time of applicants at IVACs. 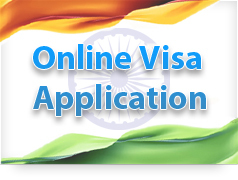 The applicants are encouraged to pay the processing fee from the convenience of their home / office / on the move anytime after filing the online visa application and then come to the IVACs for submission of the form at IVACs.